Ever since I can remember, whenever someone asked me what I wanted to be when I grew up my answer was always the same; a veterinarian. My parents are both in the veterinary medicine field, so a veterinary clinic was where I grew up. My parents had told me stories about taking me on a farm call, so my dad could deal with a calving call when I was still in a baby bucket. My animal obsession started early, and I’ve loved every minute of it. One of the more memorable stories I’ve heard about myself is the time that I tried to give our old hound dog a rectal exam with a newspaper bag when I was two-years-old. I’m still on the fence about whether I should be proud or horrified about this, but regardless, it set me on the path to where I am now. For me, it was almost written in the stars that I would also one day join the field of veterinary medicine. It wasn’t until I was close to graduating high school that my plans changed. 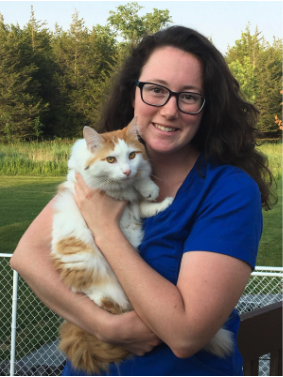 It shook up my world when I realized that I wasn’t going to be a veterinarian. But I started looking into different options and decided that my best option would be going to school to become a veterinary technician. This way I would still be able to be in the veterinary field. After starting school, it didn’t take me long to realize that this was my true calling. And now that I’m working in the field, I’m happier than I’ve ever been – I’ve found my calling! 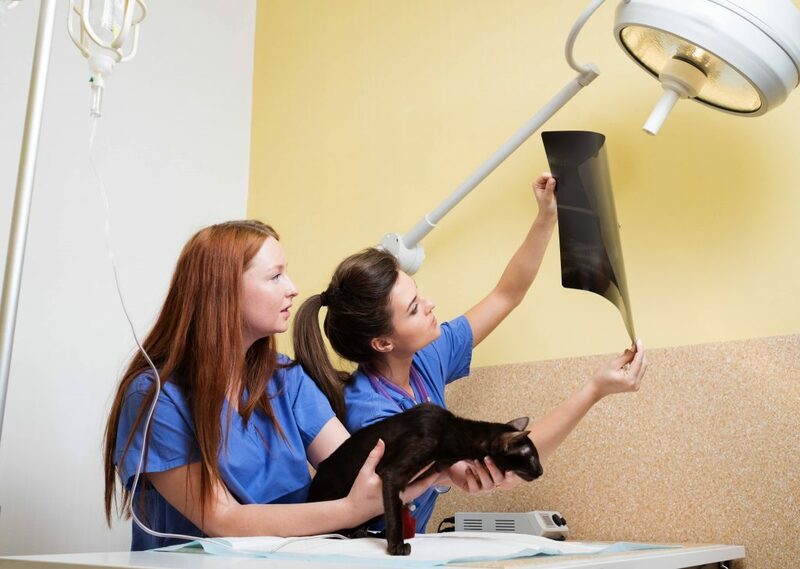 So, now that you’ve decided you want to be a veterinary technician, let’s look at how you can make that happen. To start, try to get into the field and gain some first-hand experience. Test the waters and try to figure out if this is the job for you. You can do this by utilizing high school co-operative education classes that will help place you into a clinic. Talk with local clinics about their volunteer policies and job shadow opportunities. One of the first things that we tell our co-op students when they start is, if you get light headed, dizzy, or nauseous, that’s okay! Ask any one of us; we can probably name a time where we felt overwhelmed during a procedure. It happens, so don’t let it discourage you. Take a deep breath and try again. After you’ve worked in the field for a little bit and have decided that you want to pursue this further, look into colleges as soon as possible. There’s a lot of research and application work involved! Many different schools offer the veterinary technician course so research as many, as you can and pick your top three. For me, when I was choosing schools to apply to, I first looked at what was included in the course. It was important to me that the course I chose had a large animal component. Now, this might not apply to you; you may want your course to be focused on small animal or laboratory medicine. It’s all personal preference, but make sure you do your research if you want to get more experience in one field over the other. The next thing that I looked at was location. I grew up in the country and have never been a huge fan of the city, so when I found a college that had a large animal component and was located just outside of the city I was all set. Location doesn’t necessarily have a lot to do with how your course is but it’s important that you’re happy and comfortable in the place that you will be staying for the next 2-3 years. So once you’ve done your research, make sure you look into orientation dates so you can tour the facilities and meet with other students and faculty. The best and most honest opinion that you’ll get is from the students who are currently enrolled in the program. They’ll be able to tell you their first-hand experiences with the school and course. When applying to the veterinary technician program, due to its popularity, many colleges will require you to write a Pre-Admissions Test or HOAE (Health Occupation Aptitude Exam). This will test your basic English, Math and Natural Science skills. For more information on these tests, check out your chosen college’s websites and they will have more information and study guides for the test. Hopefully, you’ve now been accepted and made your way through the course. Congratulations! The course can be tough, and it requires a lot of hard work and dedication to get through. If you don’t make it through the first time around, don’t stress. I knew a lot of people who didn’t pass the first time but stuck with it and graduated the next time around. Work hard and use the support of your friends and family to help you through. So now that you’ve graduated, you have the option to write the VTNE (Veterinary Technician National Examination). I recommend writing the exam and becoming a fully registered veterinary technician. By becoming an RVT, you allow yourself, so many more job opportunities so make sure you research and explore all your options as you never know where it might lead you! A few last things to keep in mind when you are working on becoming registered. There will be a police check required so make sure you keep yourself out of trouble! 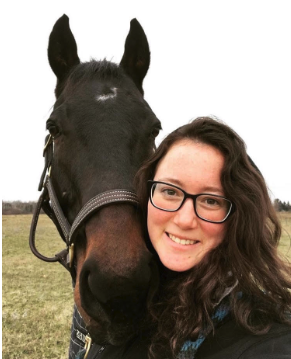 You will also be required to complete a Professionalism and Ethics course as well as become a member of the OAVT (Ontario Association of Veterinary Technicians). After you are registered, to maintain your status as a registered technician, you will be required to obtain continuing education credits. These credits are offered in many different forms and are meant to be a great way to help RVTs grow in their field. I’m a proud registered veterinary technician, and I would love to see our field continue to grow with new technicians! Here at Hillcrest, we have multiple RVT’s on staff, and any of us would be happy to answer any questions that future, aspiring technicians might have. We don’t bite, I promise, so feel free to catch us if we have a spare minute and we can help answer your questions.